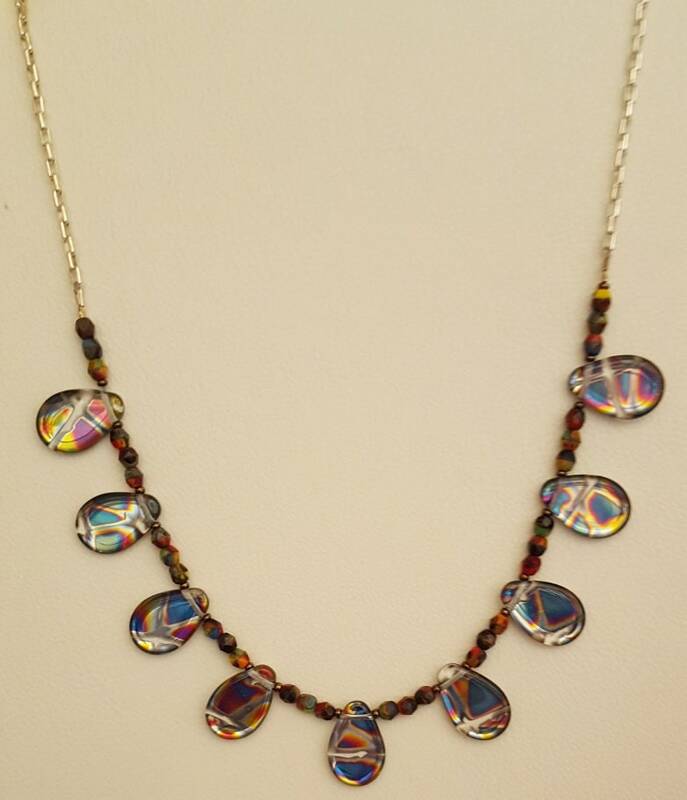 Striking necklace that will go with any color in your wardrobe. Iridescent oval peacock type beads with different color accent beads to compliment them. Attached to silver chain and fastens with toggle clasp. 18"